At present there are thirteen SOS Children's Villages, ten SOS Youth Facilities, eleven SOS Hermann Gmeiner Schools, twelve SOS Kindergartens, two SOS Vocational Training Centres, five SOS Social Centres (Family Strengthening Programmes) and one SOS Medical Centre. Vietnam was one of the very first countries outside of Europe where SOS Children's Villages started supporting children, young people and families in 1967. Although the organisation had to stop working in the country in 1976, after years of negotiations, its activities could once again be continued in 1987. The lack of support and suitable accommodation for the large number of children without parental care led to a significant growth in the organisation. The Socialist Republic of Vietnam is located in South East Asia. It borders China in the north, the Gulf of Tonkin and the South China Sea in the east and south, and Laos and Cambodia in the west. Vietnam has around 93.4 million inhabitants (2014 est.) and is amongst the 15 most populous countries in the world. The biggest city is Ho Chi Minh City with 6.4 million inhabitants, and the capital city of Hanoi is home to around 2.9 million. At present, about 30 per cent of the population lives in urban areas, but this rate is increasing rapidly as most jobs are located in cities. Vietnam is recovering from decades of war. The constant struggles have influenced the people of Vietnam in various ways; many lives were lost, the environment was damaged and the agricultural-based economy seriously affected. In recent years, the ruling party, the Communist Party of Vietnam, has allowed some economic liberalisation, and the economy is one of the fastest growing in the area. State owned enterprises continue to account for about 40 per cent of GDP. Agriculture is still the most important sector, employing nearly half of the population. About one fifth of the labour force works in industry and a third in services. In spite of improving conditions in recent years, Vietnam remains one of the world's poorest countries - it is estimated that around 11.3 per cent of the population is living below the nationally-established poverty line. There is an increasing disparity in the distribution of wealth - between urban and rural areas of the country and between different ethnic groups. People in rural areas are up to four times more likely to live in poverty than people living in urban centres. 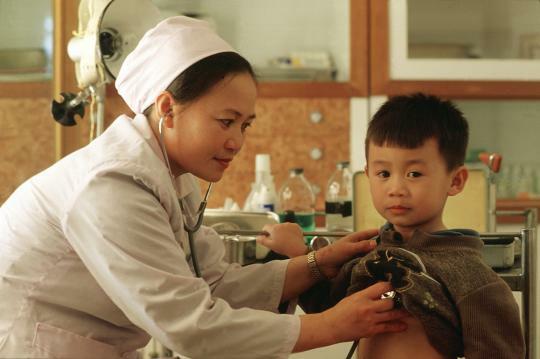 Vietnam has an HIV/AIDS prevalence rate of 0.4 per cent. The number of people living with the disease is believed to be increasing. Although the epidemic is still concentrated among male injecting drug users, it is increasingly affecting women. Many men, women and children are trafficked in Vietnam. They are forced to work in construction, fishing, agriculture, mining and logging as well as commercial prostitution throughout Asia and further afield. Most are tricked into leaving their home, thinking they are going to a legitimate job, only to find themselves trapped in conditions akin to slavery. There are around 26 million children living in Vietnam. In the past two decades their lives have improved in many ways: most are now attending education and have access to health care. The under-five and infant mortality rates have fallen significantly over the past decades. Unfortunately not all children have benefited from the improving living standards. One third of children are stunted due to malnutrition. According to child-specific measures of poverty, which take into account wider factors such as education, housing, health, and social inclusion, about one third of all children under the age of 16 are considered to be poor. Children from ethnic minorities and those living in rural areas, or in the northern mountainous regions, are more likely to be poor and less likely to attend school. Children who are at risk of losing parental care include those whose parents have migrated in search of work. Their children are often left behind with grandparents or family members. Many are abandoned and forced to live on the streets. The prevailing poverty means that children are often forced to work; it is estimated that around 16 per cent of children between the ages of five and 14 are forced to work. Children are also particularly vulnerable to human trafficking. They are smuggled internally, or into neighbouring countries, and forced to work in different jobs, including as prostitutes. 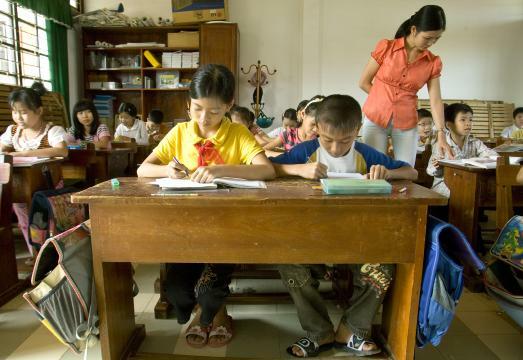 The economic and political situation which Vietnam has endured has led to a particularly intense involvement of SOS Children's Villages in the country. Our organisation provides families with young children with day care so that the carers can go to work or receive training. The SOS Hermann Gmeiner schools provide primary and secondary education. Young adults live in special houses where they are guided on their path to independent living by professionals. The SOS Family Strengthening Programmes work with local agencies to provide support to local children who are at risk of losing parental care. They provide services such as counselling and health advice, but in some areas may also provide financial support to cover basic needs such as food, clothing or school expenses. Children who can no longer live with their parents can find a loving home in one of the SOS families.